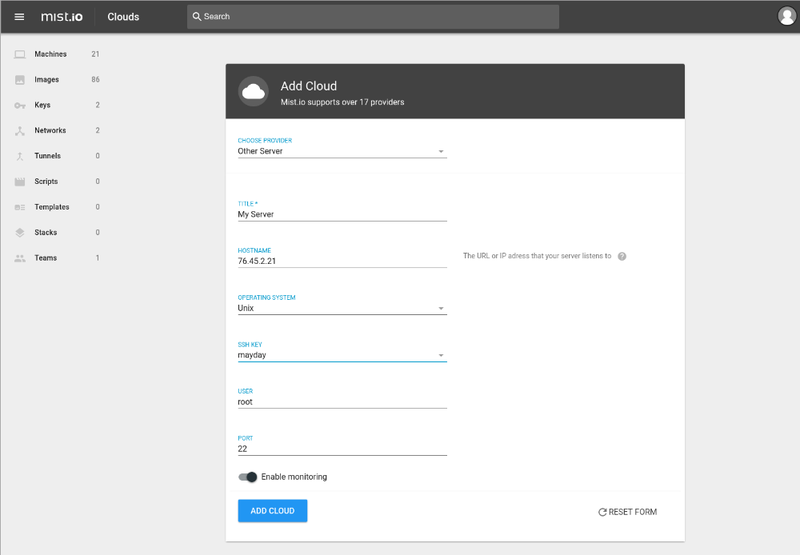 You can add a server to Mist.io, either bare metal that resides in your data center or from a service provider, such as RackSpace. To add a server, select ‘Other Server' on the drop list with the providers, on Mist.io's home page. Αdd the hostname (or ip address), ssh key, sudo user and ssh port and choose between Unix and Windows OS. On pressing 'Add', Mist.io will try to establish an ssh connection to the server and if it succeeds it will load the machines listing including your newly added server along with existing servers. Your server will be added to the list of machines Mist.io manages. To enable monitoring for your machine, select it from the list and click the ' Enable monitoring' button. 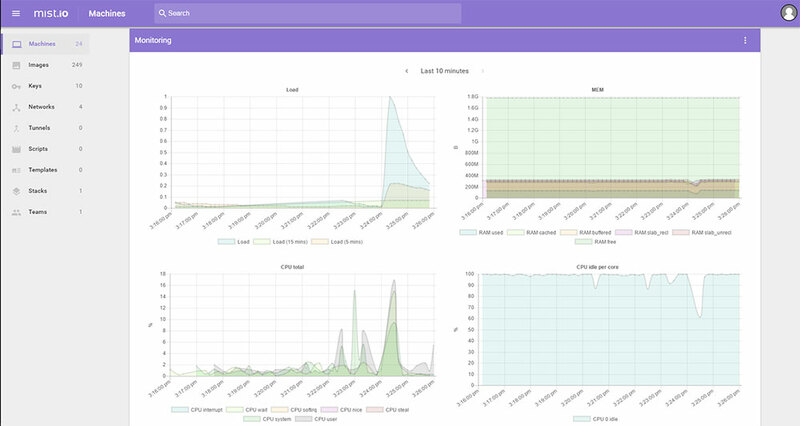 Mist.io will download and install the collectd open source monitoring daemon.